Lindsey is the Maytree Foundation Human Rights & Poverty Fellow. Her work explores issues of income, housing, and education with a human rights lens. She holds a Masters in Communication & Culture and a BA in Communication Studies & Political Science. 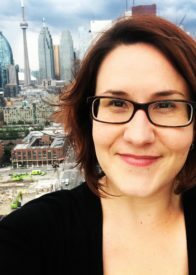 Working at Imagine Canada, the national association for charities and non-profits, her work spanned Strategic Communications, Public Policy, and Research. Lindsey also has extensive experience in media production, working for the Canadian Media Producers Association and Canada Media Fund. While living in Berlin, she was production manager for Adam, 2018 Berlin International Film Festival Official Selection.